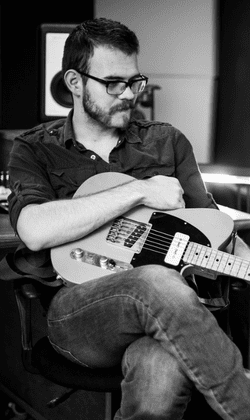 THE CLOSET STUDIOS was founded in 2007 by owner and engineer Kendal Osborne. His love of music and audio combined to form a vision of a studio that would help musicians, not just make profit off of them. Kendal is a guitarist, songwriter, engineer, mixer, and producer, and since the formation of the studio, hundreds of artists have walked through the doors and we have loved every minute of it! At the Closet Studios, we make it a priority to make your recordings unique, and have something that stands out in this competitive industry. Our mission is to provide artists with a place to record that's relaxed, affordable, effective, and professional. We know that an unenjoyable recording process can make band members defensive, over critical, or leave them uninspired, and an unsuccessful record release can separate bands completely. It's difficult in the music scene, and we want to help in any way we can. We're here for the music, and if you ever have questions about recording, music, or you just want to chat, we're just an email away. We want to help your band or project move forward, and get better. We love to see our clients succeed to great things and have an album in hand to prove it! Thank you for visiting our website!